In the case of DiFiore v. CSL Behring, LLC, a former pharmaceutical employee brought an action in the District Court for the Eastern District of Pennsylvania against her former employer for retaliation in the form of a wrongful, constructive discharge. In that case, the employee specifically brought claims under the federal False Claims Act (“FCA”) https://www.law.cornell.edu/uscode/text/31/3729 and Pennsylvania’s common law wrongful discharge cause of action. She claimed that she had raised concerns about off-label marketing of products which caused her employer to retaliate. In that case, the District Court instructed the jury that, in order to prove retaliation under the FCA, the employee had to prove that the whistleblowing by the employee was the sole cause for the adverse action (firing or other retaliatory action). 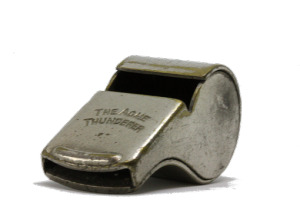 However, the plaintiff-employee argued that she need only provide that the whistleblower action was a motivating factor for the wrongful discharge – not that it was the only reason for the adverse employment action. The plaintiff was relying on a prior Third Circuit case, Hutchins v. ABC Corp. However, the Court determined that the “motivating factor” language in the Hutchins case was merely dicta – meaning that the language was extraneous to the decision and does not act as precedential. The Court also decided that the United States Supreme Court decisions in Gross v. FBL Financial Services, Inc. and University of Texas Southwestern Medical Center v Nassar indicate that a “motivating factor” test is inappropriate. (The Gross case considered a claim under the Age Discrimination in Employment Act (“ADEA”) and the Nassar case considered a claim under Title VII of the Civil Rights Act.) In both cases, the Supreme Court found that the language “because of” in those laws, equated to the requirement of “but-for” causation. In other words, the adverse action would not have happened “but for” the improper motivation, requiring that to be the exclusive motivation. The ADEA, Title VII, and the FCA all contain that same language. The Court in DiFiore noted that the Family and Medical Leave Act included different language, and prohibited employers from considering the use of FMLA leave as a “negative factor” in an employment decision. The Court reassured that this indicated that the lesser causation standard was appropriate, and permitted a violation to be found even if there were mixed motives. However, the DiFiore case was a case from Pennsylvania specifically considering Pennsylvania state and federal laws. That case does not specifically address New Jersey’s Law Against Discrimination or Conscientious Employee Protection Act which are liberally interpreted to protect employees and the remedial intents of the Acts. New Jersey Courts https://law.justia.com/cases/new-jersey/appellate-division-published/2001/a3755-98-opn.html have been clear in their interpretation of these laws that the employee need only prove that the discriminatory or retaliatory intent by the employer was the “determinative,” “substantial,” and/or “motivating” factor in making the decision to take an adverse employment action against the employee. Thus while a case in New Jersey federal court under the FCA might be controlled by this standard, cases in federal or state court under New Jersey’s Law Against Discrimination or Conscientious Employee Protection Act would not. McLaughlin & Nardi, LLC’s employment attorneys are experienced with and knowledgeable about both State and Federal employment laws and protections for whistleblowers. To learn more about what we may be able to do to help, please visit our website, http://www.esqnj.com/ or contact one of our New Jersey lawyers by e-mail or telephone at (973) 890-0004.